NOT YET A LASA MEMBER? NOT YET A LASA AFFILIATE? 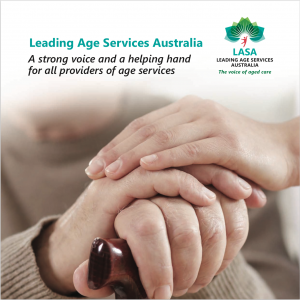 Becoming a LASA Affiliate clearly demonstrates acknowledgement of, and support for, the critical role played by the age services industry in caring for ageing Australians. Our Affiliate Members receive a wide range of benefits, tailored to meet individual and specific business needs. Membership with LASA will strengthen and expand your business position and introduce you to an increasing number of industry client networks, maximising industry exposure by way of our regular and well attended events, social media and publications.